Is there any time better than summer to cool off with a cold brew? Whether it’s a juicy shandy, a hoppy IPA, or a rich, earthy porter, there are plenty of ways — and reasons — to leave your standard backyard brews behind and tap into these top restaurants with great beer lists. It may feature Prohibition-era murals on the walls, but the good times roll at City Tap House, where 60 draft lines and more than 100 lines are featured — including cider and kombucha on tap. Look for brews like the specialty Boston Calling (a seasonal limited-edition named for the city’s biggest music festival), which is a full-bodied pilsner ironically brewed in Copenhagen and Sur Equinox from Frederiksberg, Denmark, a sour ale. Don’t miss the summer patio in the heart of the hopping Seaport District. Make a reservation at City Tap House. 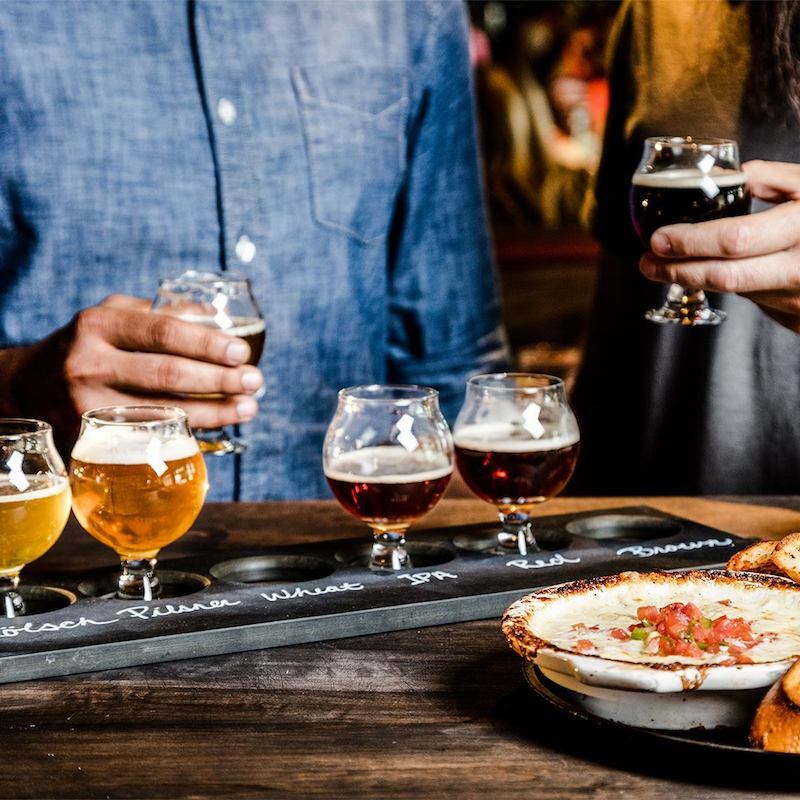 Portland is obviously no stranger to the craft scene, but beer lovers can hit it big at Rock Bottom with a flavor for every palate with 16 specialty brews that change frequently. Sour aficionados can toast with a summery Gimlet Gose (a variety originally hailing from Germany with the grain bill primarily featuring malted wheat), which is infused with cucumber, lemon, and lime. Port-chata is a unique porter infused with horchata and has sweet vanilla and cinnamon notes. The Simple Minds session ale is a collaboration with craft brew house 54-40 using Washington and Oregon hops that has accents of pomegranate, raisins, and, yes, Mount Rainier cherries. Make a reservation at Rock Bottom Brewery. 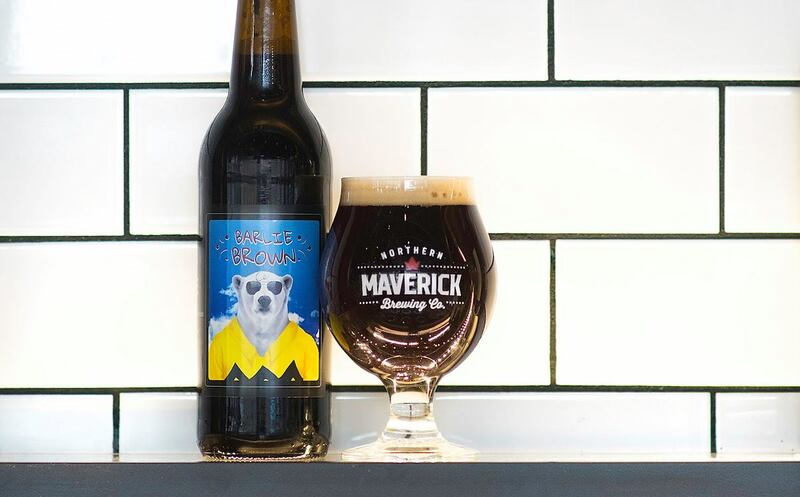 Size matters at Northern Maverick, where an 11,000-square-foot brewery adjoins a 400-seat restaurant, bar, and retail store offering up all of the latest brews. 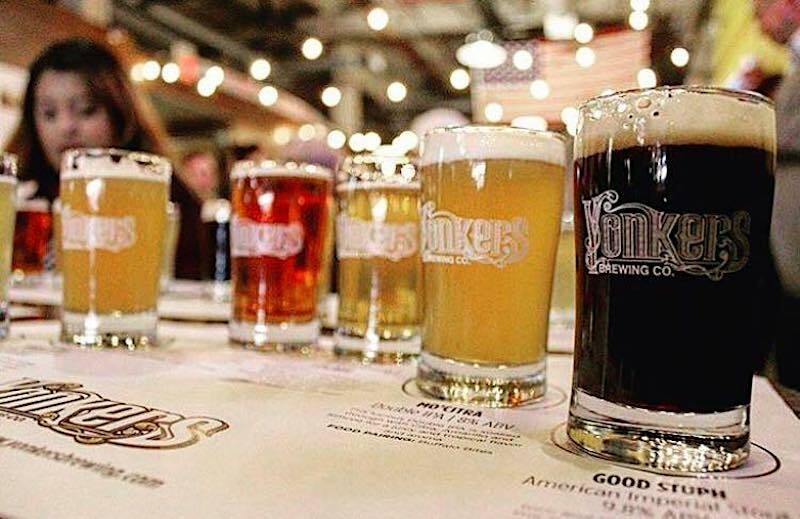 Whether it’s the dessert-sounding oatmeal stout with its coffee, chocolate, toffee and fruit aromas or the double dry-hopped IPA with citrus, mango, and pineapple, there’s plenty to pair with the hyper-local menu. Try venison tartare with a quail egg, charcuterie, and oysters or the ultimate chef-brewmaster’s tasting menu with curated beer and food pairings. Make a reservation at Northern Maverick Brewing Company. Why sit it out and sweat on the Strip when you could be watching the Bellagio fountains cooling off from a roof deck featuring 100 suds options? 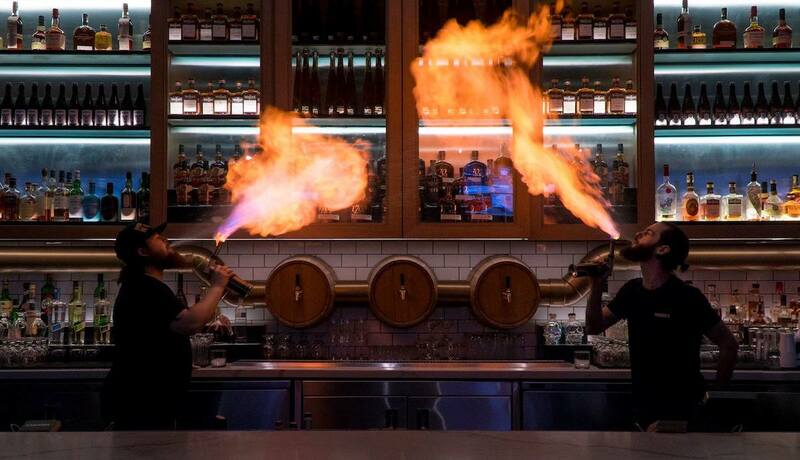 There are libations aplenty at Beer Park, where a 10,000-square-foot deck not only features stunning views but bar bites to pair with more than 36 beers on tap. A custom-made grill incorporates the flavor of beer into everything broiled on an open flame with soaked beechwood chips, including burgers, brisket, and ribs. 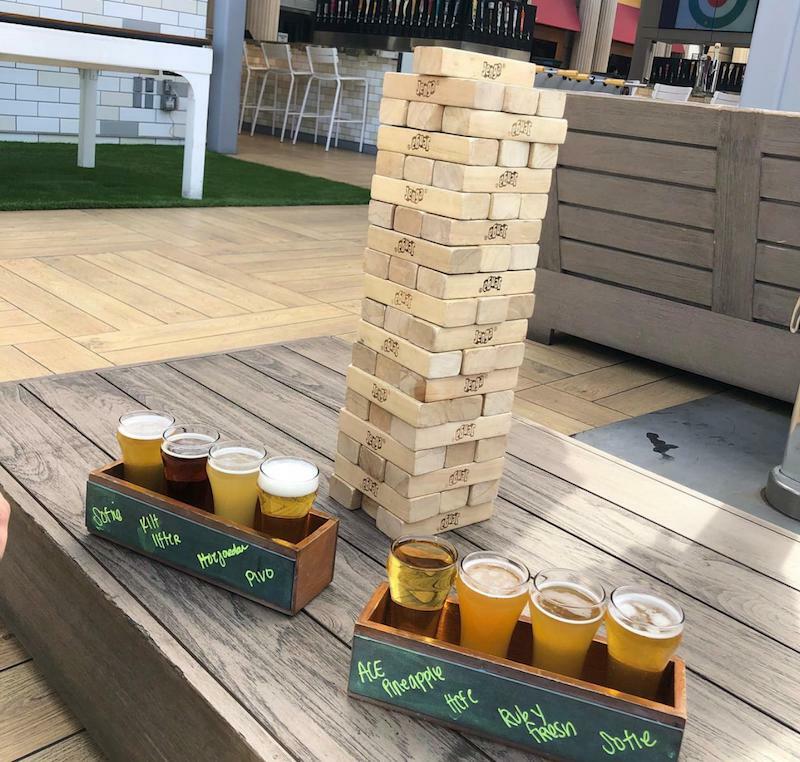 Bring the backyard to Sin City a little bit more with drinking and lawn games — along with towers of high-definition TVs for every sports game. Make a reservation at Beer Park. With a name like Beer Authority, what’s not to love? Ninety beers on tap and 100 by the bottle add up to a variety typical of the great melting pot that is the Big Apple. The focus is on craft beers from around the world, with a wide U.S. selection that features some intriguing special editions like Dead Rise, the spiced herb beer from Maryland’s Flying Dog Brewery that celebrates the 75th anniversary of Old Bay seasoning, and the citrusy hops and tart finish pair well with shrimp, corn, and blue crab. Make a reservation at Beer Authority. 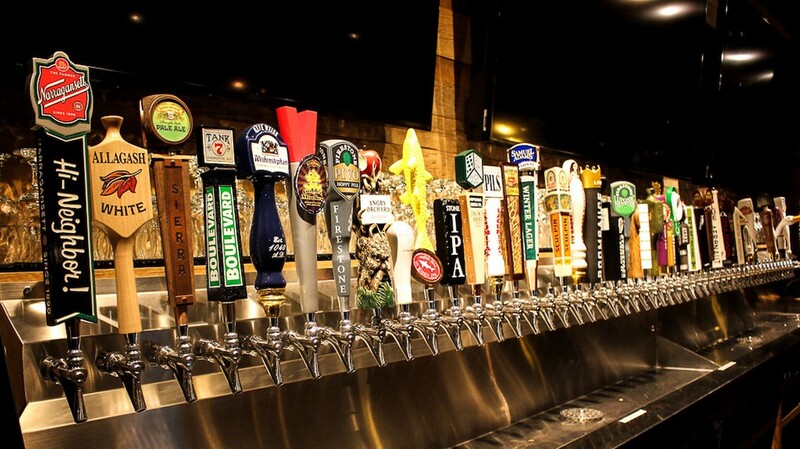 What are your picks for the top restaurants with great beer lists? Tell us here or over on Facebook, G+, Instagram, Pinterest, or Twitter. And, remember to snap + share your #dishpics with us on Instagram for a chance to win in our weekly giveaway.